In a neighborhood near Columbia River High School lives a family of five brothers, two chickens and one dog. This family is like most families who have their own daily routines for meals, recreation and relaxation, except the “brothers” are actually residents of Winegarden Adult Family Home. Lyle (names have been changed to protect privacy), enjoys going on a daily walk and helps to take care of Onie, the dog. Sometimes he’ll run a quick errand to the store to pick up a forgotten ingredient for dinner that night. Lyle has Autism. Before being referred to Winegarden, he lived in a state-run inpatient facility. Now, Lyle enjoys learning to cook, going to the library and spending time with his roommates. 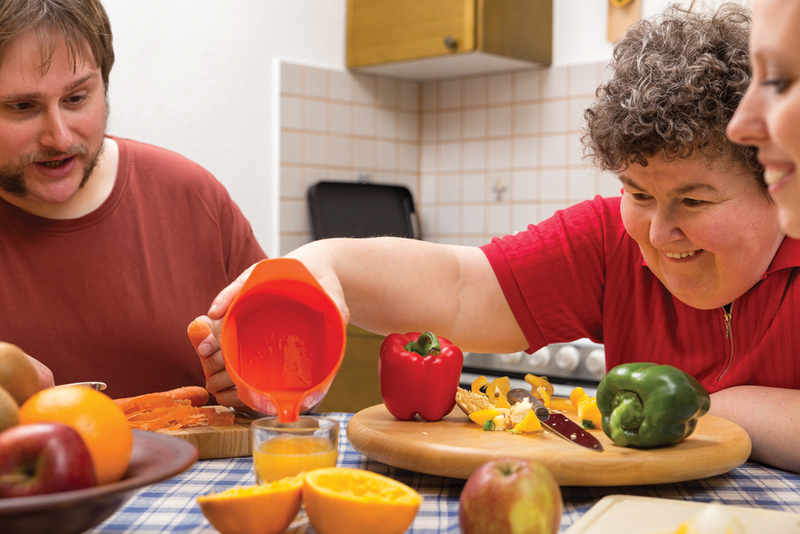 According to Washington State’s Developmental Disabilities Administration, 80 percent of adults with disabilities live at home with their families, and 20 percent live in other situations including supported living facilities or adult group homes. To read more, pick up a copy of the April 2019 issue at any of these locations, or view the digital archive copy here. Sarah Mortensen recently completed her degree in marriage and family studies and works for Vancouver Public Schools as a paraeducator. When Sarah is not reading to her kids or students, she is probably in her backyard taking care of her garden. She also enjoys hiking, hot chocolate, and dressing up for Halloween. She lives in Vancouver with her husband, son and daughter.